BOLOGNA, Italy: Pope Francis on Sunday urged governments and people to do more to help migrants and not see them as enemies, wearing a plastic ID bracelet used by asylum seekers to drive home his message. Francis visited a drab refugee centre on the outskirts of Bologna known simply as "The Hub". Run by a charity, it is home to about 1,000 asylum seekers, most of whom risked their lives crossing the Mediterranean from Africa and the Middle East. There, they live in grey containers and other forms of temporary housing while awaiting decisions on their asylum requests to be moved to other towns in Italy. Francis, who has made defence of migrants and refugees a major plank of his papacy, also condemned internet trolling against foreigners, saying they had been subjected to "terrible phrases and insults." "If we look on our neighbours without mercy we risk that even God will look on us without mercy," he said. 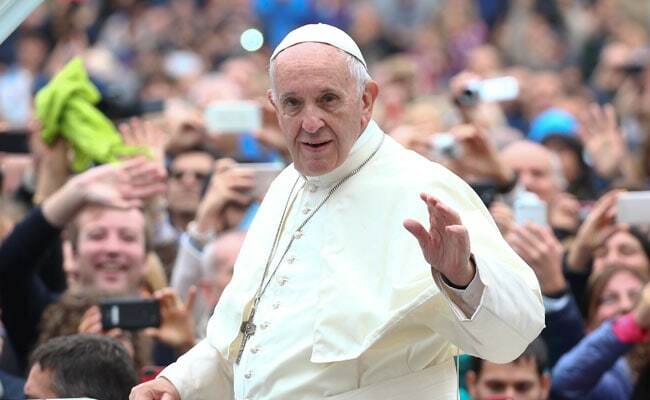 The pope's defence of migrants, his second in less than a week, comes at a time of growing anti-immigrant sentiment in the United States and many European countries where far-right parties have made inroads. This was a reference to programmes such as one run in Italy by the Rome-based Sant' Egidio peace community, which regularly brings into Italy refugees fleeing the civil war in Syria.